The April 3 retirement of Bill Cross, W3TN, from the FCC marked the end of a long era at the Commission. Cross, who was technically a "program analyst" in the Wireless Telecommunications Bureau, was for more than a decade the FCC's go-to person on all matters dealing with amateur radio. He was also the primary author of all Notices of Proposed Rule Making (NPRM)s and FCC Reports and Orders relating to Part 97 proceedings. But Cross told the ARRL Letter that there were no plans to replace him with another "Ham Guy," as he said most FCC staffers referred to him. "The plan is to divide up my work among other staff members, based on topic," he told the Letter. The Alpha Amplifier and Ten-Tec brands have been sold by RF Concepts to RKR Designs of Longmont, Colorado. RKR was formed specifically for the purchase. Its principals are Richard Gall, Ken Long (N0QO) and Rich Danielson (the R, K & R of RKR). Gall and Danielson have run QSC Systems, a contract manufacturer, in Longmont for over 20 years, and have been building Alpha amps for RF Concepts for the past five years, as well as boards for Ten-Tec since the company's purchase last year by RF Concepts. Long has been involved in the amateur radio and electronics industry for two decades, and will be President and CEO of the new company, according to a news release. RKR says it plans to expand Ten-Tec's and Alpha's offerings while continuing to service existing customers. The Northern California DX Foundation has announced a grant of $50,000 to help fund a planned DXpedition to Heard Island in the southern Indian Ocean. The VK0EK expedition is scheduled for November. The NCDXF noted that Heard Island had risen to the #5 most-wanted spot after the recent DXpedition to Navassa Island. 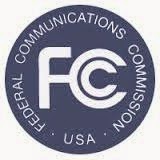 The ARRL has told the FCC there is no need to modify the current amateur radio allocation at 77-81 GHz in order to accommodate expanded spectrum space for vehicular radar, and notes that neither the original petitioner nor any of the commenters have made such a request. In comments on an FCC proposal to expand the vehicular radar allocation from its current 76-77 GHz to include 78-81 GHz, the ARRL says it has worked closely with petitioner Robert Bosch, LLC, and that both groups are satisfied that vehicular radar and amateur radio can "play nicely together" on the band, according to an ARRL bulletin. Acknowledging the possibility that the Commission may choose to reallocate the 4-millimeter ham band despite its protests, the ARRL requested the assignment of "equivalent spectrum" at 75.5-76 GHz and 81-81.5 GHz. The current amateur allocation at 4 mm is 77-81 GHz, with primary status in the 77.5-78-GHz segment. An "experimental" reactivation of WWV's time and standard frequency transmissions on 25 MHz is continuing after a year, according to the ARRL Letter, with no plans as of now to discontinue the broadcasts. 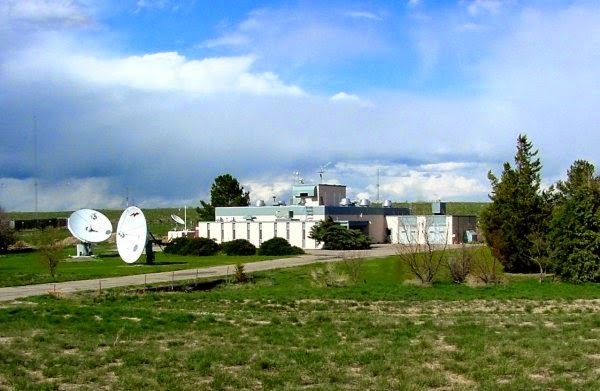 WWV had shut down its 25-MHz transmitter in 1977 but reactivated it a year ago in response to an e-mail lamenting its loss from Dean Lewis, W9WGV. The 1-kW signal provides not only exact time and frequency, but helps serve as an indication of propagation conditions on 12 and 10 meters. WWV welcomes signal reports and listener comments. One of the ways in which ham radio can help fill in gaps in internet service when normal infrastructure is knocked out is via ad-hoc self-organizing RF computer networks, now referred to as Broadband Hamnet. Flying mostly under the radar so far, the technology now seems poised for a significant boost in usability, according to several reports on both Newsline and the ARRL Letter. In March, the developers of Broadband Hamnet announced a firmware upgrade for users of both Linksys WRT54G and Ubiquiti wireless routers, and a group calling itself the AREDN Project introduced new software for what it calls the Amateur Radio Emergency Data Network, or AREDN. According to Newsline, AREDN is being described as a new way by which hams providing emergency communications can support needs for high-speed data transmission. The AREDN software works with the mesh networks created using Broadband Hamnet and allows the interconnection of laptops, cell phones and other wireless devices. The networks may (or may not) also connect to the Internet. More information on AREDN is available from <www.aredn.org>. A typical Broadband Hamnet mesh network. Meanwhile, the ARRL Letter reports that a group of hams in Utah successfully deployed a Broadband Hamnet mesh network in support of a Boy Scouts "Scouting for Food" project in March. The group set up a network of 13 nodes across the Salt Lake Valley, linking back to the local scout headquarters and transmitting live video and audio from each of the food drop-off points and the truck dispatch location. Described by one of the participants as "Wi-Fi on steroids," the 2.4-GHz network covered distances of more than eight miles from the central hub site. in Namibia and another in Brazil are planning to find out! Two hams on two continents are planning to try to make contact on 2 meters by bouncing signals off the International Space Station as it passes over the South Atlantic Ocean. The South African Radio League reports that Namibian ham Pieter Jacobs, V51PJ, and Brazilian amateur Marcos Turbo, PY1MHZ, are planning to conduct scatter tests from the ISS on 144 MHz. 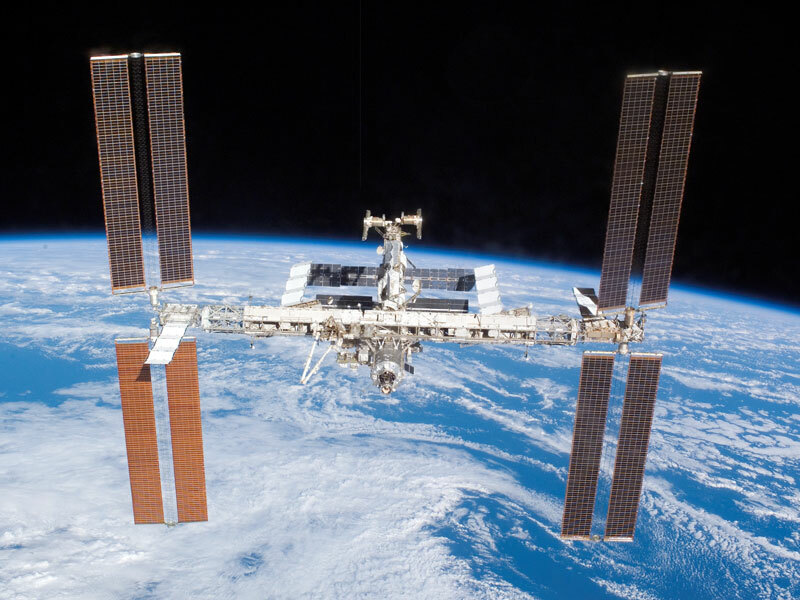 The overall path length has been calculated as 5000 kilometers (approximately 3100 miles), with each station's signal needing to travel 2500 km (1550 miles) before bouncing off the space station. We'll do our best to keep you posted on their progress. The Citizens Broadband Radio Service is the name bestowed by the FCC on a proposed new broadband wireless service that would be open to all, with very few restrictions on the types of applications permitted in the band. According to eweek.com, the FCC proposed the new service in a March 27 Notice of Proposed Rulemaking (NPRM) and planned to put it to a vote on April 17. The new service would initially operate between 3.550 and 3.650 GHz, with room for possible expansion to 3.700 GHz. Individual licensing would not be required and incumbent users would be protected from harmful interference. According to eweek, the concept behind the new service is "to support activities including small cell deployments, fixed wireless broadband services and something the FCC calls general consumer use." Apparently, the flexible structure of the plan is designed to promote experimentation by individuals as well as use by small and large wireless service providers. New rules published by South Africa's telecommunications regulators now allow amateurs there to use up to 1000 watts of output power on most bands (with Class B licensees getting a boost to 100 watts), along with an expansion of the 160-meter band all the way to 2 MHz. This, according to the South African Radio League. A few thousand miles to the north, full-license hams in parts of the United Kingdom and its "Crown Dependencies" will soon be gaining data privileges on the 4-meter band, from 70.5 to 71.5 MHz. This band has long been available to amateurs in many European countries, but not those in the Americas, where 70 MHz was used for commercial television broadcasting. According to Newsline, hams in most of the UK (excluding Scotland) will be able to apply for "Notices of Variation" to permit operation on 4 meters. The allocation is not permanent and is subject to reassignment on 12 months' notice. 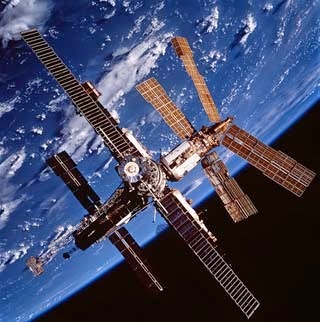 Mir space station in the 1990s. One of the fathers of slow-scan television has become a Silent Key. Don Miller, W9NTP, died on March 22 at age 91. According to the ARRL Letter, Miller worked closely with Cop MacDonald, VY2CM, in developing SSTV. Miller also founded Wyman Research, Inc., which built SSTV/ATV equipment for hams, including the SSTV station used aboard the Russian Mir space station. Miller wrote about SSTV on Mir in CQ VHF back in the 1990s.